The popular RM 055 reference by Richard Mille, originally designed in collaboration with Bubba Watson, one of the most powerful hitters on the PGA Tour, is now available in a new all grey version that will be on sale exclusively at Richard Mille Boutiques in Geneva, Paris, London Mount Street, Harrods, Milan, Monaco, Dubai, Abu Dhabi, Doha and at the pop-up boutiques in Porto Cervo and the Polo Club Saint-Tropez. The RM 055 Bubba Watson Boutique Edition has an upper bezel created using shot-blasted titanium carbide, a titanium and carbon alloy with a hardness of 1450 Vickers for outstanding durability over time. 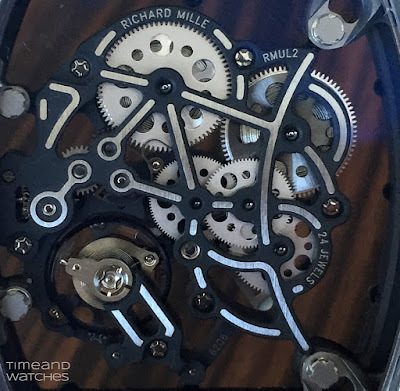 The caseband and caseback are made using shot-blasted titanium. The 'all grey' effect is achieved through a manufacturing process which involves shot-blasting the grade 5 titanium case with minuscule glass beads at a low pressure to ensure an even finish. The manual winding caliber RMUL2 in grade 5 titanium displays extreme skeletonisation, with a PVD and Titalyt treated baseplate and bridges. This combination provides the whole structure with optimum rigidity and precise surface flatness which is essential for the perfect functioning of the gear train. Titalyt is an electro-plasma oxidation treatment which creates a crystalline oxide ceramic coating. Richard Mille RM 055 Bubba Watson All Grey Boutique Edition. 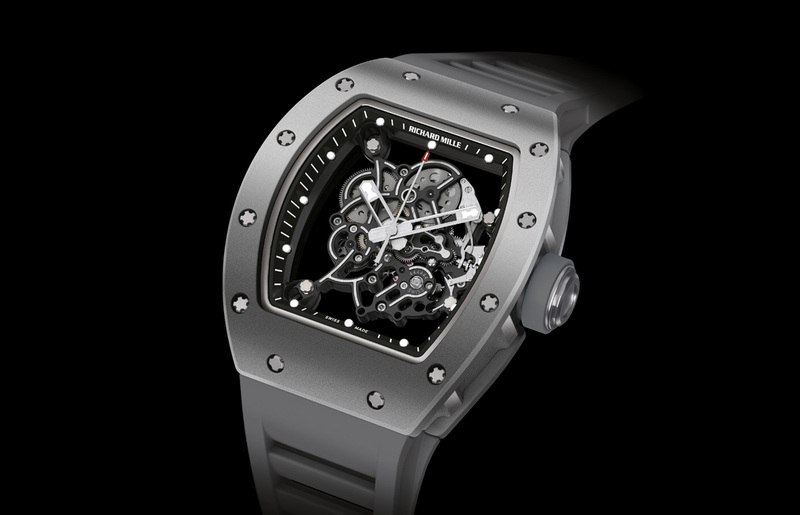 The popular RM 055 reference by Richard Mille, originally designed in collaboration with Bubba Watson, one of the most powerful hitters on the PGA Tour, is now available in a new all grey version. The RM 055 Bubba Watson Boutique Edition has an upper bezel created using shot-blasted titanium carbide. 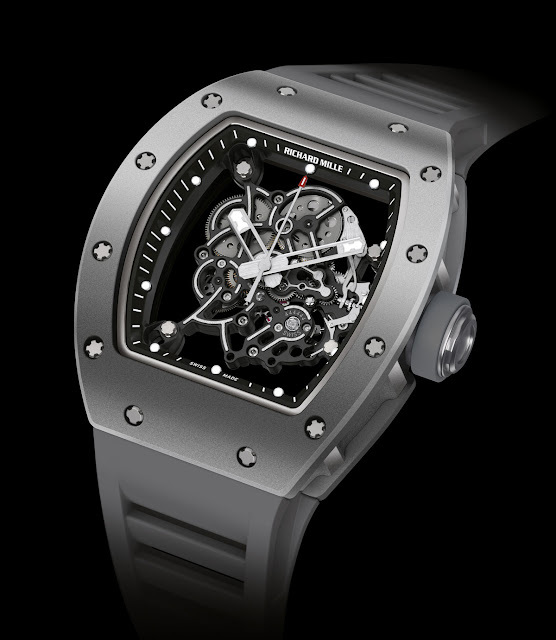 The Richard Mille RM 055 Bubba Watson All Grey Boutique Edition will have a price of Swiss Francs 105,500.